At Coverstore, we strive to provide outdoor cover protection for everything found in a backyard patio setting, even outdoor televisions. 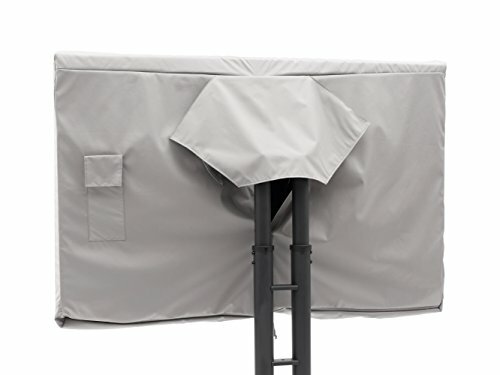 Our Ultima full TV covers are designed with an interior fleece lining that wraps completely around the front and back of the TV, and a Velcro closure in back for a nice custom-fit. Our full coverage styles also include a handy remote control pocket to prevent loss of or damage to your remote control.